Do you love to scrapbook? 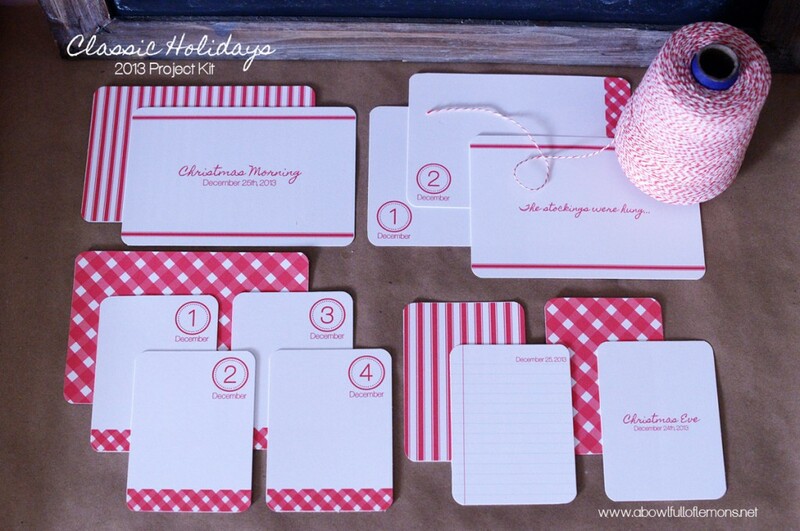 This holiday season, create a festive December daily album with my “Classic Holidays” downloadable (printable) pdf kit. Preserve all 25 days of Christmas this year, with the Classic Holidays kit. Using white card stock, you can easily print out your cards at home. Journal all 25 days of Christmas, with the help of this timeless project kit. You will receive 58 digital holiday cards in one kit for only $5.00. Once you pay, your files will automatically be emailed to your Paypal address. All you have to do is download, print & cut! Merry Christmas. A Bowl Full of Lemons printables are available as an instant download. If you paid via PayPal with a personal check, files will be sent once check has cleared. All files are high resolution PDFs on standard 8.5×11 inch size paper, unless stated in item description. These files are emailed to you. You will not receive a physical printable by mail. PDF files will be automatically emailed to you, once payment is made via PayPal. If you do not receive an email with the files, please check to make sure you have entered the correct email address. Also be sure to check your spam folder. ABFOL Printables are copyrighted. Please do not resell or redistribute. My printables are for personal use only and may be printed unlimited times from the original purchaser. Colors may look differently, from screen to print, depending on your individual printer. ABFOL printables are not editable, unless stated in item description. Due to the nature of these digital products, there are no refunds or exchanges. Please double check your size, email address and order before submitting. Make sure to save your files. Lost or deleted files will not be resent. All photos, designs, content and writing in my printable shop are the property of A Bowl Full of Lemons © 2014. Plagiarism will not be tolerated. If you have any questions or comments, feel free to contact me!